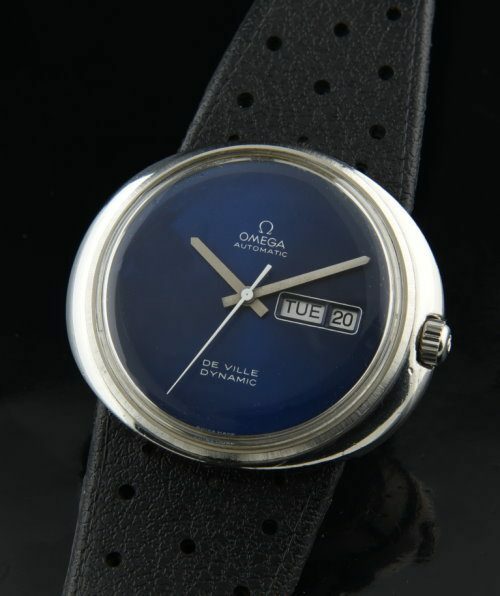 This OMEGA DYNAMIC has a hard-to-find ORIGINAL azure blue dial! This 40mm. steel case looks very good. The rubber band is a replacement-feeling supple and fine…it looks great. The automatic winding OMEGA movement was just cleaned and accurate. The correct OMEGA winding crown is installed. We don’t see this dial too often-I love it! 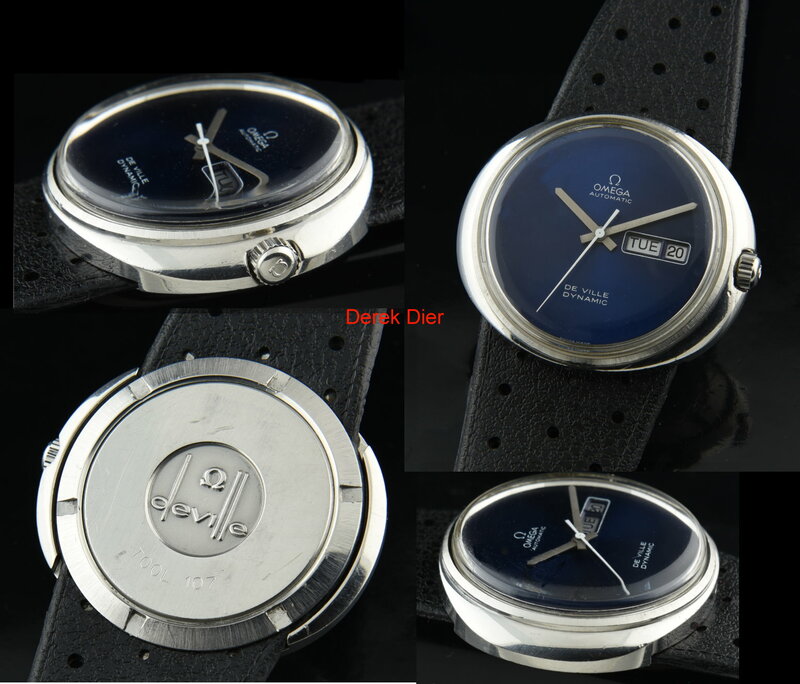 You must see this dial “in person” as it is uniformly and beautifully deep blue…better than the pictures-believe me. This is a very cool vintage OMEGA that you can wear for many decades to come. Only $995.